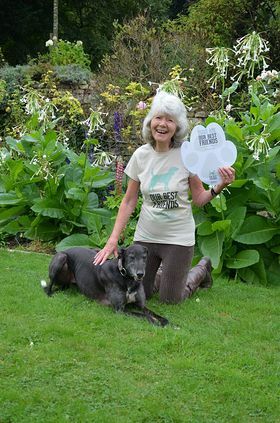 One of Britain’s most beloved authors, Jilly Cooper, has posed with one of her two pet greyhounds in support of Our Best Friends, a BUAV campaign calling on the Government to end the use of dogs and cats in experiments. In 2012, 3,214 dogs and puppies suffered in 4,843 tests in Great Britain. This is a 6% increase in the number of dogs used compared to the previous year (2,865 in 2011), and a rise of 12% in the number of experiments carried out (4,552 in 2011). Most experiments carried out on dogs are for toxicity testing. The dogs may be injected with or force fed drugs and chemicals and then observed for signs of adverse (toxic) effects including vomiting, diarrhoea, internal bleeding and organ damage, seizures, paralysis – even death. They are killed at the end of the experiment. 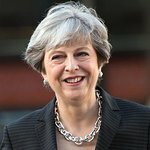 Other celebrities who have backed the campaign include Ricky Gervais, Kimberly Wyatt, Helen Skelton, Dave Spikey, Wendy Turner Webster and Chris Packham.